With my figurative pieces, I focus on communal story. My work has been inspired by my AmeriCorps service as resident organizer, in which I created “Voices of Home”. I look for the access points where the common person can connect with art, and hear their own story in the piece. 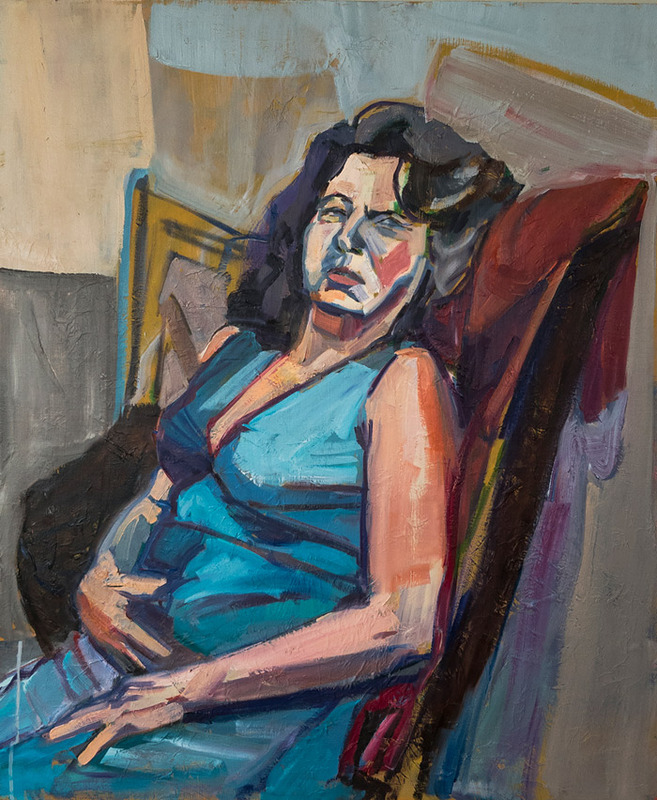 I use large, bold brushstrokes, finding the blocks of color within the figure. I look for the middle ground of specificity where a portrait can both reflect a single person, but feel familiar to the viewer. Painter, community organizer, radio-maker and cross-country cyclist, Corrine Yonce specializes in narrative paintings to inspire conversations on creating more equal communities. She stepped into visual storytelling as part of her two years of AmeriCorps service in which she created the project “Voices of Home”, a powerful experience where she built relationships with low-income resident leaders through portraiture and oral storytelling. Corrine has received support from the Burlington City Arts Community Arts Fund (twice), Vermont Arts Council, the Vermont Community Fund, and Fair Housing Vermont. 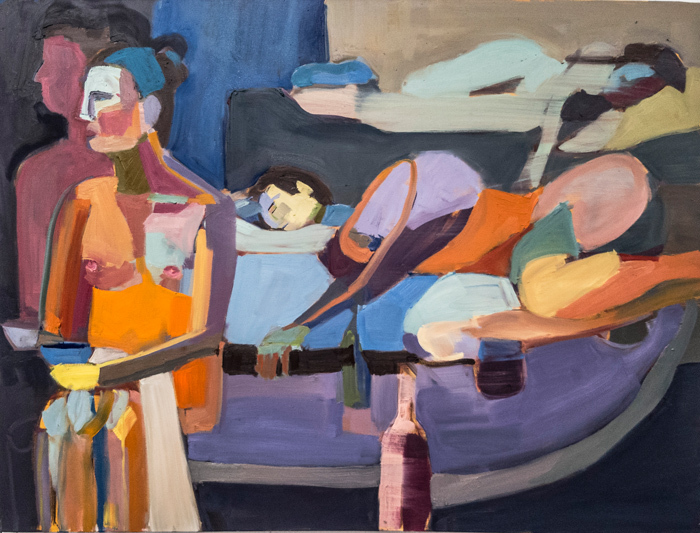 Her painting style has been heavily influenced by her recent participation in the New York Studio School summer marathon session. Currently, Corrine is an artist-in-residence at New City Galerie and finishing her enrollment at Mercy Connection’s Women’s Small Business Program. She is a radio-maker and chair of the Outreach Committee at WBTV-LP. She continues to serve her community as a shelter staff sub at Steps to End Domestic Violence. 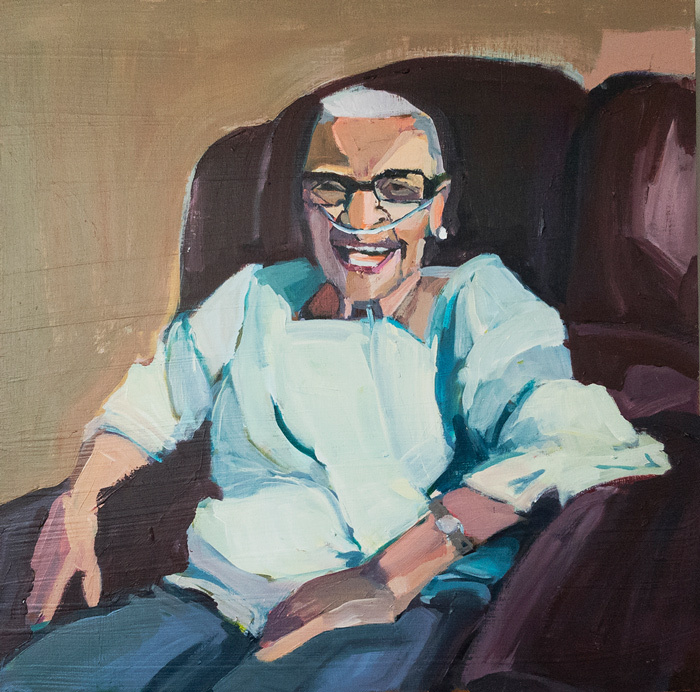 Upcoming Corrine Yonce Studio projects include creating a visual piece to tell the historical narrative of Northgate Residential Community, painting three portraits of seniors for the Randolph Pocket Park, and partnering with Cathedral Square’s Allen Brook Memory Care facility to tell the stories of their residents. Updates can be found on her website at cmyonce.com. Corrine Yonce Studio paints to create sacred spaces through stories that unite.